Learning some ryokan and onsen etiquette before your first visit is sure to make for a much richer experience. Here are some handy tips before you take the plunge. Many of you might be worried about how much English is understood at ryokans. If you’re not a fluent Japanese speaker, the best way to make a booking is via email or fax. Fluency in spoken English is still uncommon in Japan, so it’s best to put your booking in writing to avoid mistakes. It is very important to be aware of peak seasons before you make plans to stay at a ryokan. Christmas/New Year’s, Golden Week (late April – early May) and Obon (mid-August) are particularly busy, leading to higher booking fees. Sometimes rooms will be booked out one year in advance for these periods, so make sure you are well prepared. Another point you should be careful of are the prices displayed for booking. Unlike in Australia, the prices are per person, not per room. Also, although credit cards issued by major banks are accepted at many places, some only accept cash. Have some cash on hand, just in case. Make sure you remember to take your shoes off indoors in Japan. 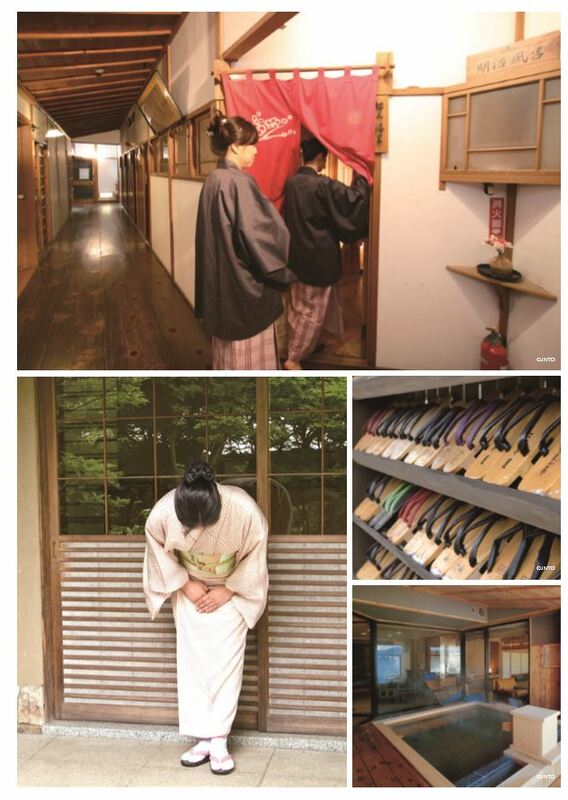 When you arrive at the ryokan, take your shoes off at the entrance and slip on a pair of the provided slippers. However, once you’ve entered your room, remove your slippers so you do not damage the tatami mats. If you happen to stay in a traditional Japanese room there may be a small shrine in the corner of your room with a scroll and seasonal flowers. As it is considered a sacred place, avoid placing any luggage or items there. There will be a yukata placed in your room. Yukatas are a type of casual kimono made of cotton which can be worn around the ryokan. The correct way to wear a yukata is to slip it on like a robe, fold the left over the right side and then tie the obi (belt) around your waist just tight enough so that it stays together. If you are unsure about anything, just ask the nakai-san. The nakai-san is in charge of taking care of guests during their stay. She will be at the entrance to greet you upon arrival at the inn. She is also the person who brings tea, snacks and meals to your room. Once you have finished dinner, she will come to retrieve the dinnerware and set up your futon. You’re sure to become very familiar with her during your stay. Although it is not customary to give tips in Japan, if you wish to express your gratitude for the nakai-san’s services, place 2000-3000 yen in an envelope and pass it onto her as you check-out. If you’ve never been to an onsen before, it may seem like a daunting experience. Aside from cleaning times, onsens are open all day and all night, so you can take a dip whenever you please. You can also hop in as many times as you want during your stay. The customary Japanese way is to have a soak before dinner. Start off by grabbing the provided towel and head over to the bathing area. Most baths are separated by gender. Take your clothes (or your yukata) off in the change rooms and wash your whole body in the showers. Most onsens stock their showers with shampoo and soap. Before finally hopping into the onsen, you must not forget to kakeyu. This is to scoop up some of the mineral waters with the provided ladle and pour it over your body. It is important to do this, not only to rinse off any remaining dirt, but to acclimatise your body to the heat and feel of the thermal waters. 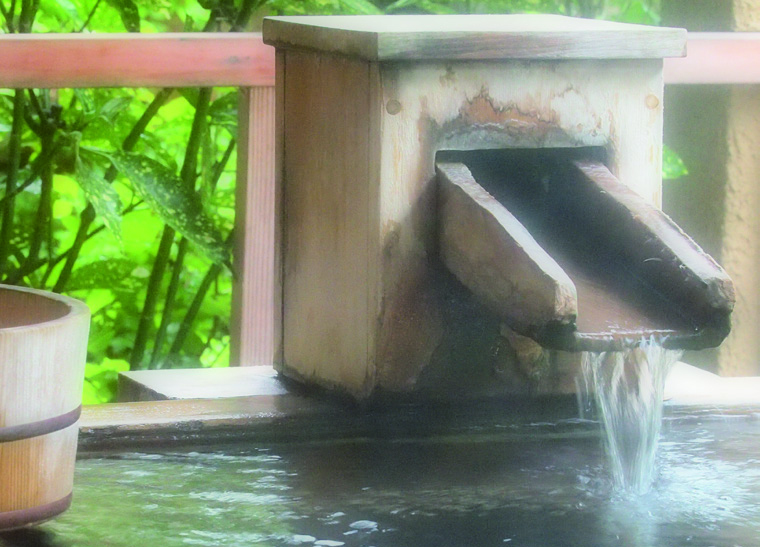 The temperature of onsens differ from place to place. Some may be lukewarm whereas others may be piping hot. The thermal waters are packed with minerals, providing a wide range of benefits for your skin. Some people go to onsens purely for its health benefits.